Wednesday February 6, 2019 - President Uhuru Kenyatta has once again issued an order directing all State officers to consult with Interior Cabinet Secretary, Fred Matiangi, before travelling abroad. 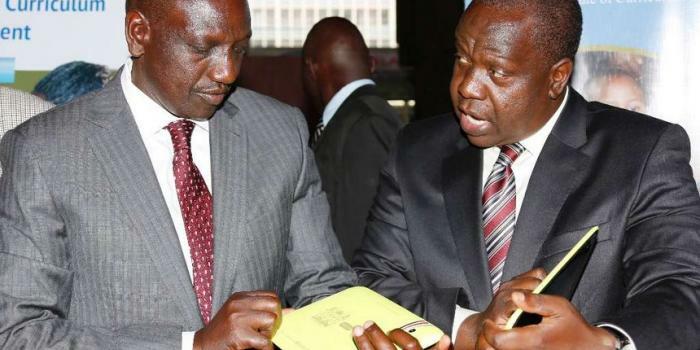 Last week, Deputy President William Ruto’s delegation to London was trimmed by Matiangi who refused to clear them saying they were wasting public money. Matiangi ordered that the delegation be trimmed down to only allow those who have essential duties to accompany the Deputy President. The president made the order before he left for the East Africa Heads of State conference last week. Last year the president said that he would purpose to reduce government expenditure by cutting down the number of trips that were made by government officials. Ruto will be going to the United Kingdom to give lectures at the Chatham and Warwick Universities. At the Chatham University, Ruto is expected to speak about Kenya’s National Unity and regional integration. He will also focus on challenges of inclusion, growth and change.